Legend has it that Sir Ernest Shackleton used the copy above in an ad to recruit his crew for a South Pole mission. The British explorer was very clear: the challenge ahead was anything but easy. 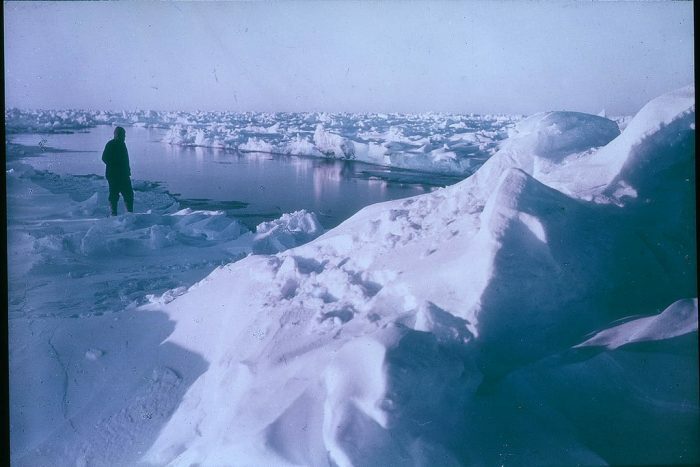 The actual expedition took more than five times the 120 days that was initially predicted. Nothing went as planned — it was a hazardous journey, for sure. However, everyone returned alive. The expedition demonstrated that Shackleton recruited the right team. Though the ad has taken on life of its own — it has been quoted countless of times as a perfect example of how to recruit talented people — it has been deemed apocryphal. The Antarctic Circle offered a $100 reward to whomever can prove the ad is real. And Bob Headland, former curator of the Scott Polar Research Institute at Cambridge promised a case of Madeira. Nevertheless, these words still strike a chord with people. Lack of clarity about what drives people, not only affects recruitment efforts but engagement as well. Being too vague (“cookie cutter”), too ambitious (“laundry list”) or not honest enough about the challenge ahead, end up backfiring. As jobs continue to be disrupted, hiring people for a mission is more critical than filling open positions. Here are five ways to get you started. People want to help organizations accomplish big things, not just do their jobs. Do you want your team to be more accountable and engaged? Give them responsibility and freedom. Be less prescriptive; treat your employees as adults, if you want them to behave as such. “What’s your role here?” President John F. Kennedy supposedly asked a janitor when he was visiting the NASA facility in 1962. “I’m helping put a man on the moon,” the man replied. It’s an apocryphal story, but it illustrates how even a menial job can be seen as part of a higher mission. When your team feels connected to a more significant purpose, their jobs feel more meaningful — they are helping achieve a higher goal. Tell people exactly what they are getting into. Most companies tend to sugarcoat the realities of a job. People will soon find out and then feel disappointed. Not everyone is the ideal candidate for every job. Personally, I like challenges. My whole career has been about turning organizations around — the more challenging an opportunity, the more interested I was. However, for risk-averse people, that’s not the case. By being honest, you will attract the right people for the mission. And avoid frustrating those who are looking for something else. The job market is being disrupted. 47% of current jobs are at risk of being automated in the next 20 years, according to a 2013 Oxford University study. Many new ones will be created of course. Jobs such as community manager or user experience designer didn’t exist a decade or so ago. But now they are coveted positions. Hiring people for new types of jobs present new challenges. How do we prepare people for those jobs? How can we predict future success when we have no historical data? In an uncertain and fast-changing world, people’s ability to adapt and learn is more important than their knowledge. Creativity, empathy, critical thinking and problem-solving are some of the abilities that will separate those who thrive from those who get stuck in a disrupted workplace. However, that’s usually not the way it turns out, as I wrote here. Team composition has very little to do with overall performance as research by Google has demonstrated. Teams fail to accomplish a mission when they lack a collective mindset — individual agendas and expectations derail everyone from the higher goal. Start by designing the team first, and then define the roles that each member will play. And how. One thing I love about the Shackleton ad is its simplicity. Organizations tend to fall into “the laundry list” trap. Sometimes, because they don’t know what makes or breaks a specific job. Others, because they ask everyone for input ending up with an infinite list of skills and must haves. Job descriptions have become confusing and deceiving than ever. Lousy candidates lie to get a job. And high performers don’t feel attracted to companies that seem to be looking for a perfect candidate rather than for real people. The world is continuously changing. Rather than looking for the perfect candidates, find those that can be perfected. Simplify your job searches. Less is more — be clear, so people know what matters and what doesn’t to your organization. Remember to focus on the mission. Let people figure out what skills and abilities they need to learn and develop to do their job. Rather than describing responsibilities, skills, and qualifications, Ernest Shackleton aimed for something more profound. He focused on the mission. His expedition failed. Yet, everyone got back home safe and alive. That’s the power of hiring for a mission. You get to build stronger teams that no matter the adversity, they will always adapt and bounce back. How is your organization developing the right mindset so that your team can continually adapt and grow?